The wagon isn't dead, it is just taking a nap while dinner is cooking in the kitchen and soon the smoke alarm will blare with an urgency that can ONLY mean the wagon will return to showrooms around the world. 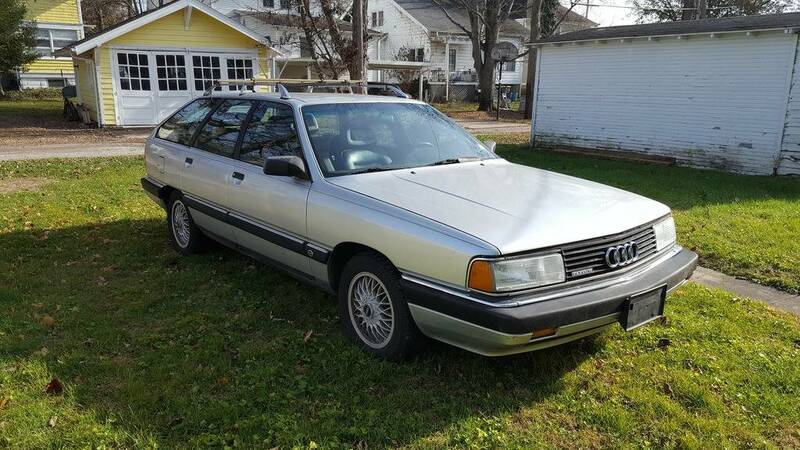 Until that happens, if you want your wagon fix, you will need to buy used, like this 1990 Audi 200 Quattro Avant Wagon offered for $2,500 in Seymour, IN via craigslist. Seller submission from GS. Hello! Up for sale is my 1990 Audi 200 Quattro wagon. Car runs and drives. 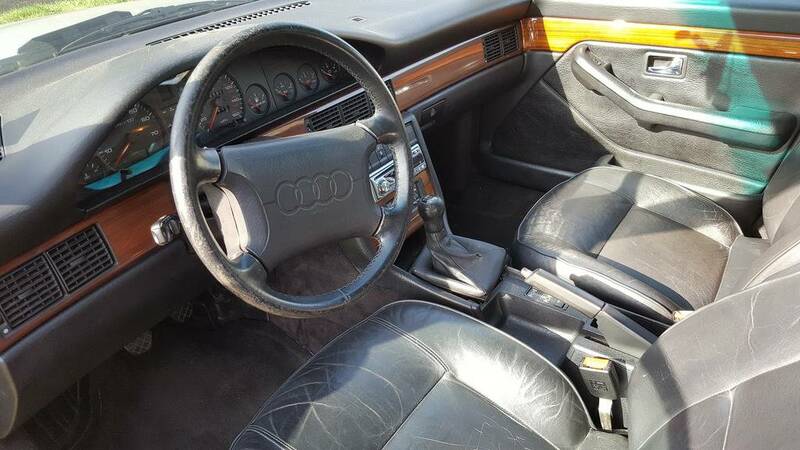 It is a 5 speed and has the 2.2 10v turbo engine. I love this car, but my commute is increasing from 4 miles a day to 50 miles, so I cant rely on my bicycle as a backup. Timing belt, pulleys, tensions, cam seal, crank seal, valve cover gasket, injectors, fuel filter, all coolant hoses(034 silicon), rear shocks (koni), all rear suspension bushing, radiator, starter, front control arms, rear calipers, rotors, pads, parking brake cables, rear wheel bearings and more I am forgetting have all been replaced in the last year. 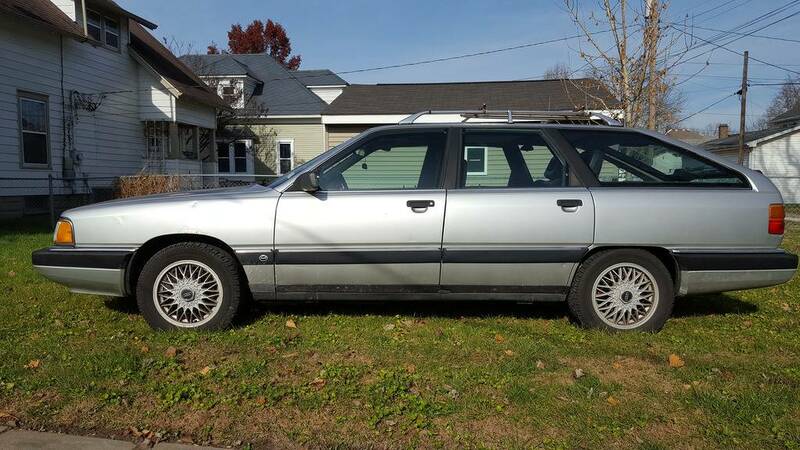 Body and interior are in good shape overall considering the age and mileage. Drives nice. Trans shifts good, with no issues. Locking center diff still works! Information center in cluster inop, along with the coolant temp gauge most of the time. Cluster is causing a parasitic draw so drains the battery after a few days. Oil leak in the turbo area. Runs down the exhaust manifold and burns off. No drips but there is smoke from it burning off and will need to be addressed sooner or later! One of the silicon radiator hose has a pin hole in it. The hose has sealed it self, but seems to open up from time to time. Dents, dings, and scratches, usual 27 year old car stuff. Price is $2500. Let me know If you have any questions! Got your own ride to sell? Take a look at our submissions page here. Aw man my dad bought one of these back in the day. 91 20v turbo, light blue on blue with BBS rims and 5 spd. The outside design always looked a bit dated but it was solidly built and drove like a car well ahead of its time. Very rare find these days.